The one thing that business owners must keep a check on every day is – how their business in doing. This aspect becomes paramount for online marketplace owners, since managing the business & incorporating growth strategies for it is their primary job function. Traditionally, analyzing business performance had been a daunting task, since every aspect of it required manual work. But now, with the advent of online analytics tools, it has become a rather effortless job. Yet, when looking for ecommerce platform, most entrepreneurs still don’t pay heed on its analytics features. 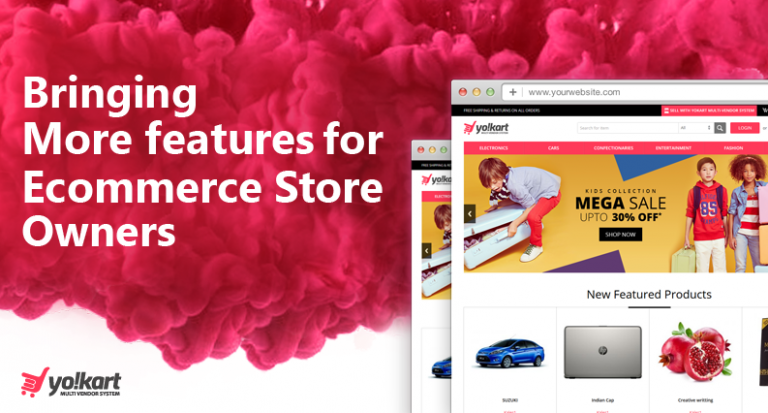 In current dynamics, analytics must be an integral part of your ecommerce marketplace, as it gives you very clear insights on what’s working for your business and what’s not. 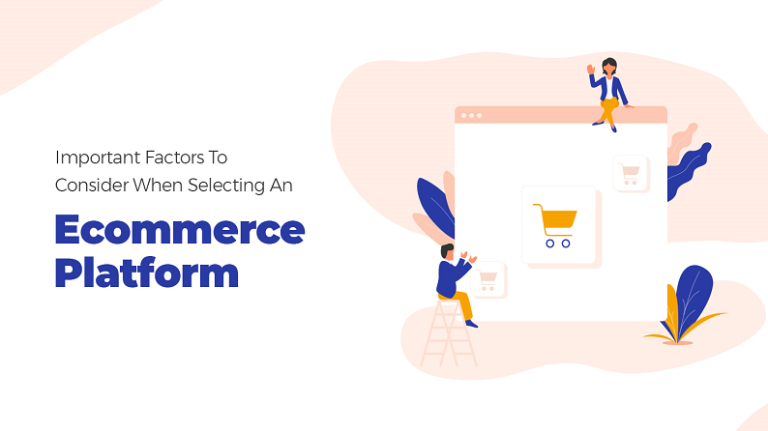 Statistical reports, on which analytics is primarily based on, must be carefully examined when considering the analytics part of an ecommerce platform. 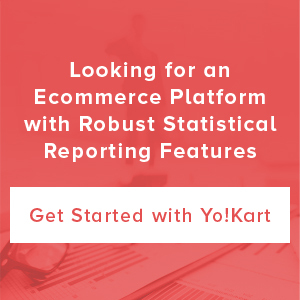 To help entrepreneurs attain valuable knowledge on the subject, in this post, we have covered the importance of statistical reports and the types of reports one must ensure in an online marketplace. Why are statistical reports so crucial? This is where statistical reports come into play to provide you the needed data in a seamless manner. Analytical reports offer a holistic view of your marketplace’s performance& gives clearer insights on the way forward. In fact, without this data, you are just like a driver of a car without headlights, driving in a stormy night. Know What’s Working & What’s Not – For early stage marketplaces, or small-to-medium sized online store owners, the resources are always limited. This means that the time and burn rate of your marketplace is highly crucial and any lack of information related to the working of your marketplace can result in mismanagement& unpredictable losses. Knowledge Is Power – There is a golden rule in startup ecosystem that every bit of information is vital. Having access to statistical information from different areas of your marketplace allows you in altering the business strategy and take well-informed decisions to maximize the profit; or minimize the losses. 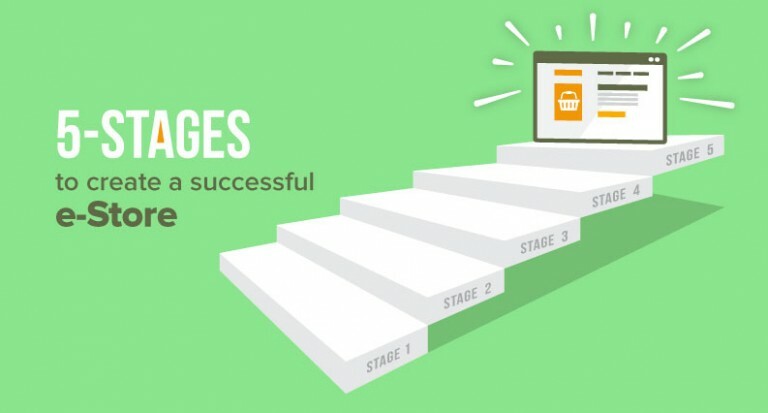 Gateway to Higher Conversions – Ecommerce startups do not grow into behemoths overnight. Carefully analyzing such reports allows you to build a foundation towards better customer relationship, which ultimately helps in higher conversions & more sales. 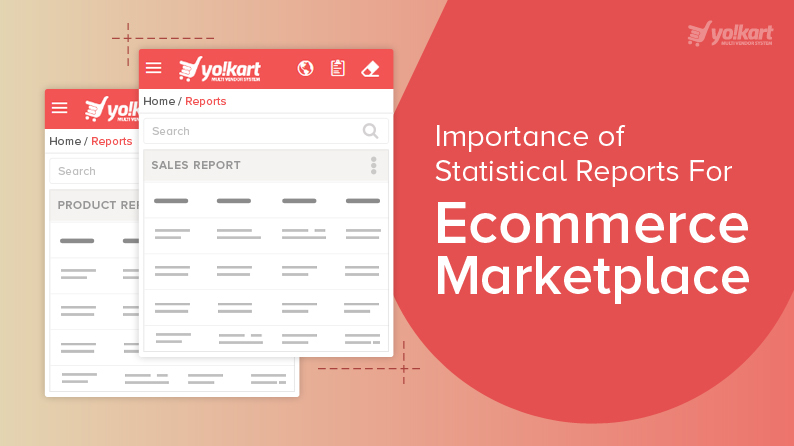 Now that we have understood the importance of analytical reports for ecommerce marketplaces, let’s take a look at different types of reports that must be there in an ecommerce platform to provide you the maximum support. 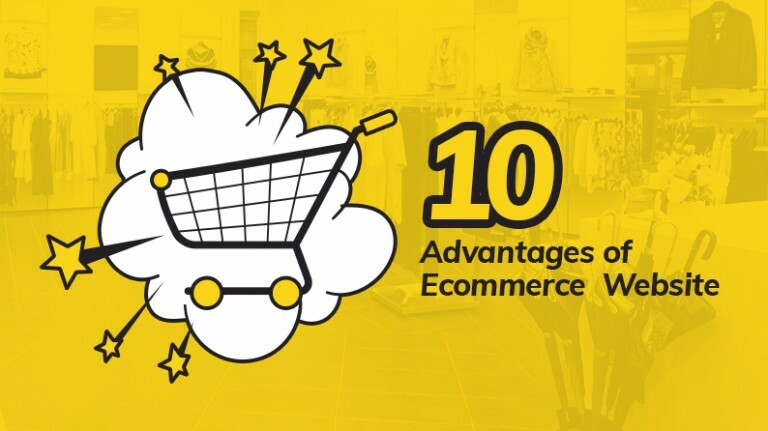 All these figures paint a precise picture as to how you online marketplace is doing sales wise, and which areas needs improvements to maximize the earnings. For example, if shipping for a particular product category is too much, or if a product is being repeatedly returned & refunded; your business must take some steps to resolve these issues. This report offers crucial insight as to how each user has contributed towards your marketplace. 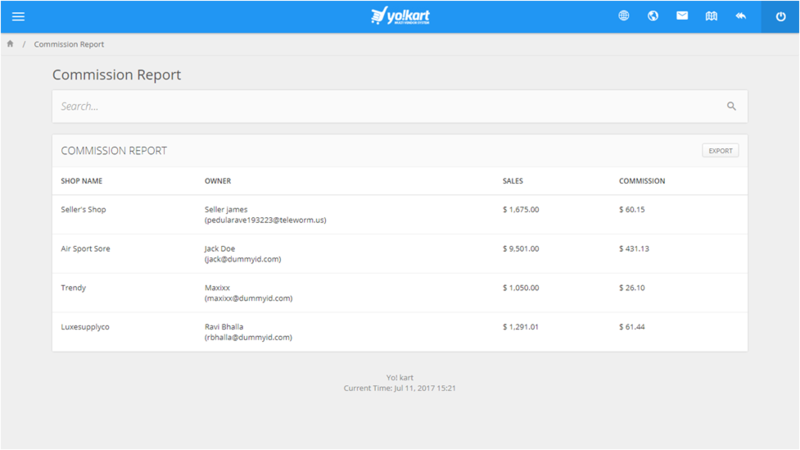 Using this, as a marketplace owner, you can easily target certain users for more productivity. For example, you can offer extra discounts to most loyal customers; or set lower commission rates for best performing sellers to encourage them and others to do better. 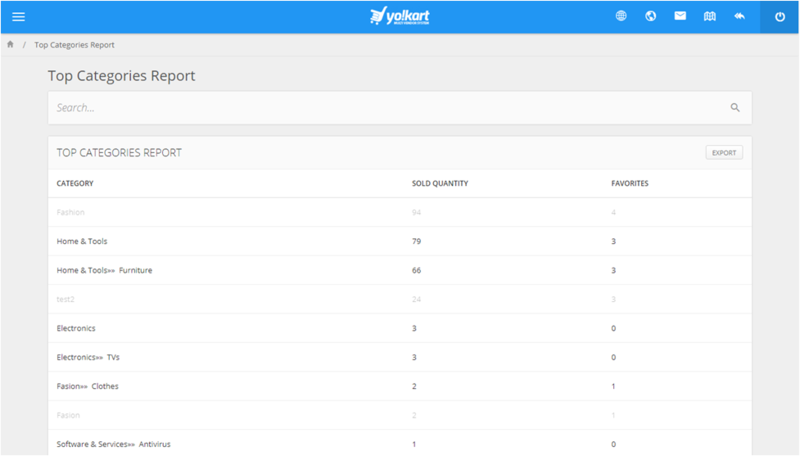 Products Report is the key ingredient that assists you in maintaining the balance between the supply & demand. Maintaining the inventory of products by their demand becomes quite efficient with such kind of report data. Apart from that, it also provides you with the insights on what new products you should introduce to increase revenue for your marketplace. As clearly visible in the screenshot above, this report will give you a crystal clear picture on which seller is bringing you how much business. Based on this data, you can implement performance-based commission rates (as mentioned earlier) to encourage sellers to do better. To low performing sellers, you can offer on-site promotion program to increase their sales by getting featured as a premium seller. When implementing a product-based, category-based, or performance-based commission rate for sellers, commission report can be a valuable resource to ensure that your marketplace is generating the optimum profit despite cutting less commission for certain (top selling) products, categories & (top performing)sellers. 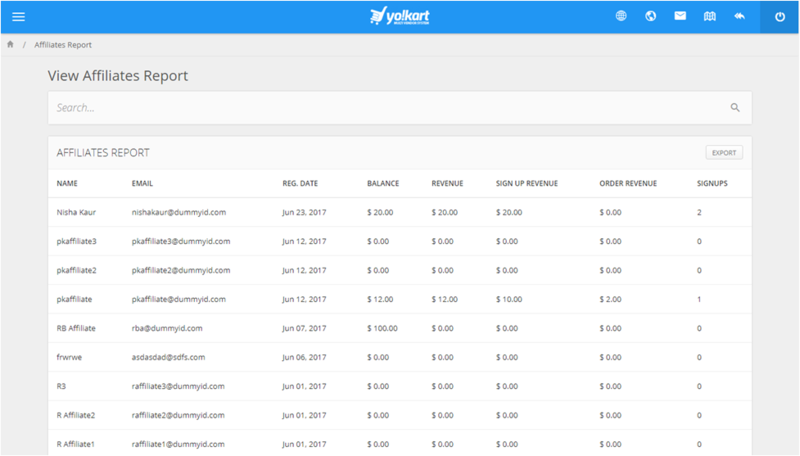 The primary purpose of the affiliate report is record keeping – how much business each affiliate is bringing you. Besides that, like in the case of sellers, you can also set performance-based commission rate for affiliates. In that sense, affiliate report can be very helpful. Firstly, in segregating the affiliates by performance; secondly, in analyzing that you are not losing too much money by lowering the commission rates. As just mentioned, top products are valuable assets for promotional campaigns – whether it is on 3rd party platforms, social media, or on the website. 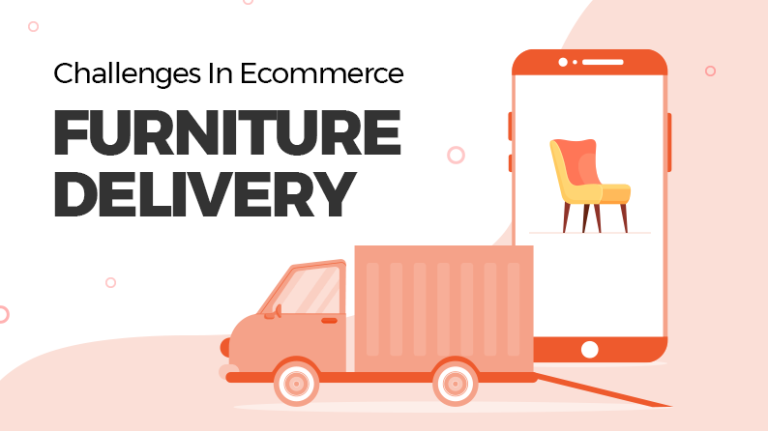 Besides that, this report also allows marketplace owners to focus on the inventory of the products customers want most to fulfill the demand in an ideal manner. If yours is not a niche-based marketplace and you offer a multitude of product categories, then besides Top Products Report, you also need a Top Categories Report. The report will primarily comprise a category-wise data of items sold &how many customers have put them into their wish-list. Apart from that, adding a field for revenue generated from each category would also be a logical choice. The purpose of this report would be similar to that of Top Products Report. 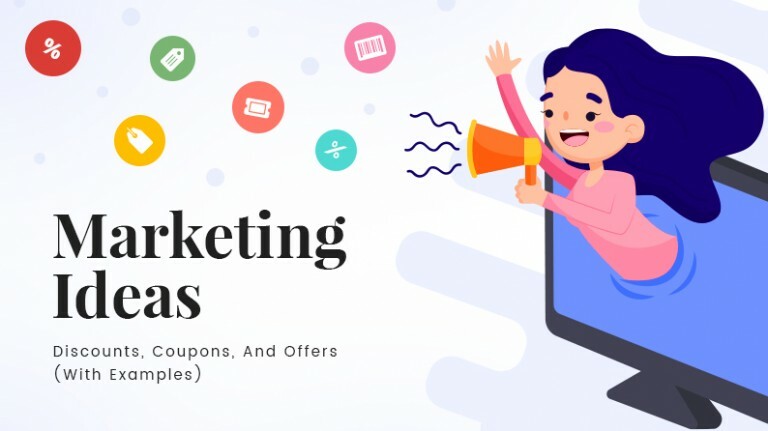 For the sake of example, if people are buying smartphones in large quantity from your marketplace, then it would be ideal to alter your strategy and put the focus on marketing this category. Apart from these, there can be similar reports on low performing products/categories. 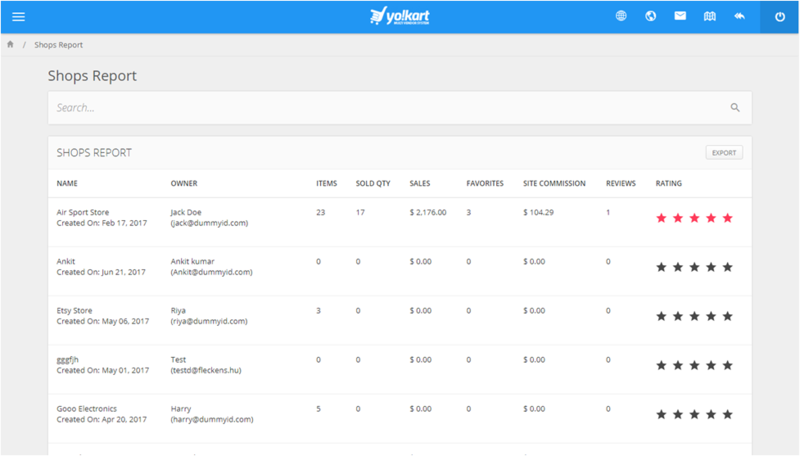 Overall the main aim of having these reports is that marketplace owners stay on top of things. 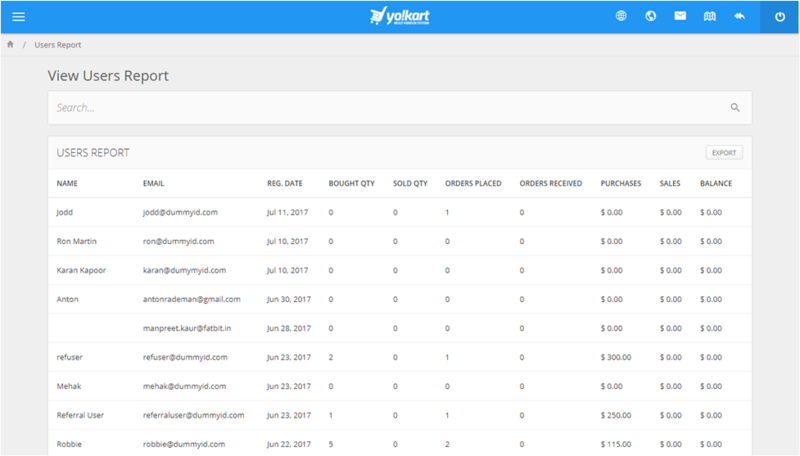 That’s the reason why big names like eBay, Amazon, and Etsy rely on such reports to continuously grow their marketplace. 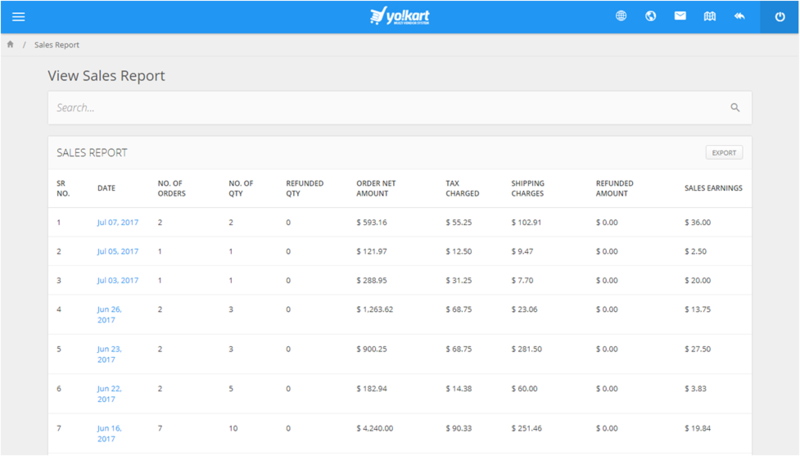 For an entrepreneur looking to launch an ecommerce marketplace, it is important to choose a solution that offers such statistical reports. As already discussed, it is all about understanding what is working and what is not for your marketplace. Knowledge is power and is the driving force behind the growth of any online business. 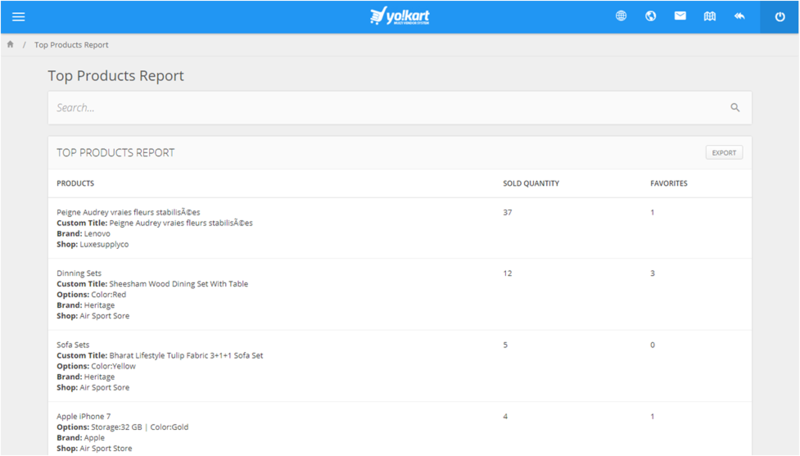 And as evident in the screenshots listed featured in this post, YoKart is a perfect option in that sense. 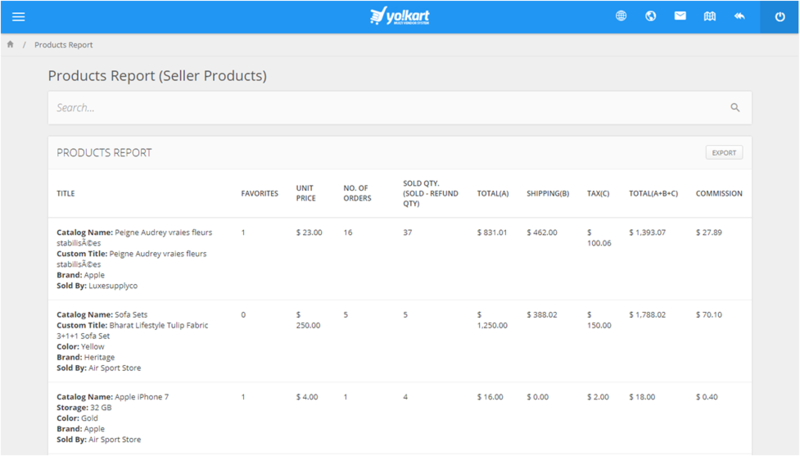 Unlike other ecommerce platforms, it offers inbuilt analytical data & statistical reports system for a seamless management & growth of your online venture.